A look back at the grandfather of Toronto's parks, whose legacy was obscured by shoddy bookkeeping. The Globe, November 28, 1907. Chambers first came to be responsible for parks planning and administration through his appointment, in 1878, to lay out the new grounds for the provincially-run agricultural fair. He had arrived in Canada seven years earlier from Canterbury, England, and taken employment with James Fleming, one of Ontario’s first florists. 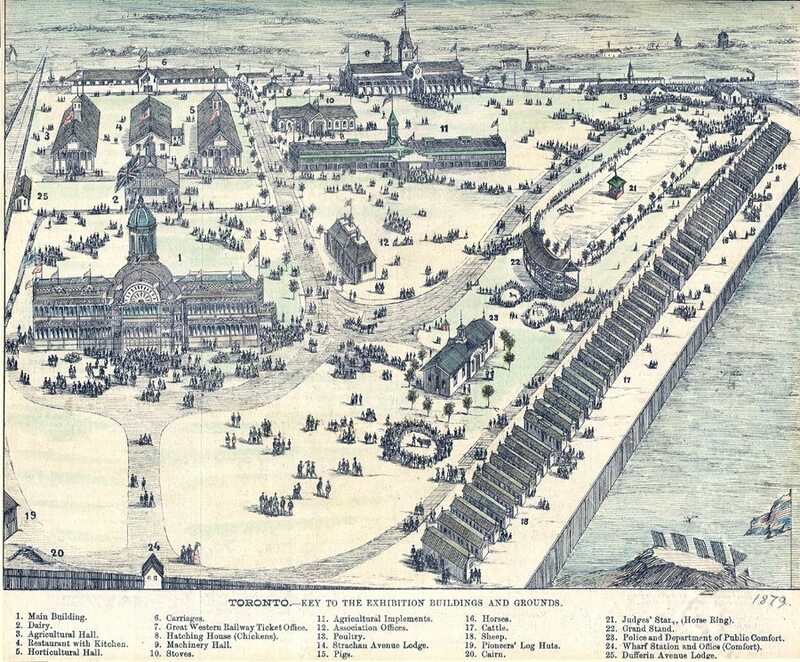 The Provincial Agricultural Fair had changed its location annually, but, in 1879, Toronto City Council and its Exhibition Committee decided to establish a permanent fair at the Exhibition Grounds that had been used for the provincial fair the year prior. The media lauded Chambers’ work as Superintendent of the Exhibition Grounds, describing the gigantic floral designs as “the pride of Superintendent Chambers,” who would continue to be responsible for the grounds after his appointment as Parks Commissioner in 1884. Prior to the appointment of Chambers, many parks and gardens were established by private landholders who offered large parcels to the City, which were then managed by its Property department. 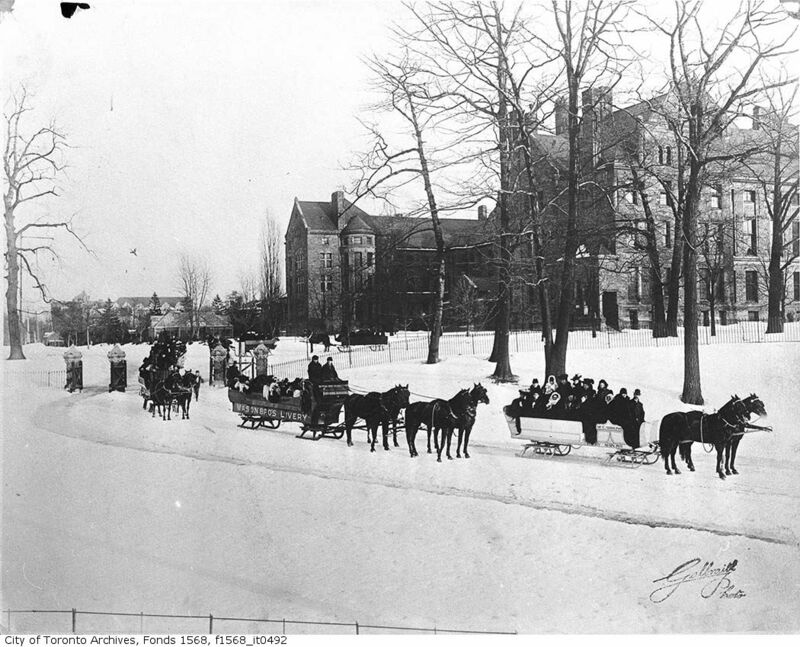 Canada’s first public park, Queen’s Park, was established in 1858 when the University of Toronto agreed to lease that parcel of land to the City of Toronto for perpetual use as a park. However, development of new parks stagnated and, by 1875, there was much public debate about the lack of parks in the growing city. Downtown, in particular, had few parks or squares, especially those of the sort that would welcome its poorer citizens, who could not afford the boats or trains to the picturesque green spaces beyond city limits. Between 1875 and 1884, the City acquired additional land for parks, including High Park, some Exhibition Park property, and the Toronto Island, and also converted existing lands to parks, such as Riverdale Park East, which had previously been used as a farm for Don Jail prisoners’ reform. 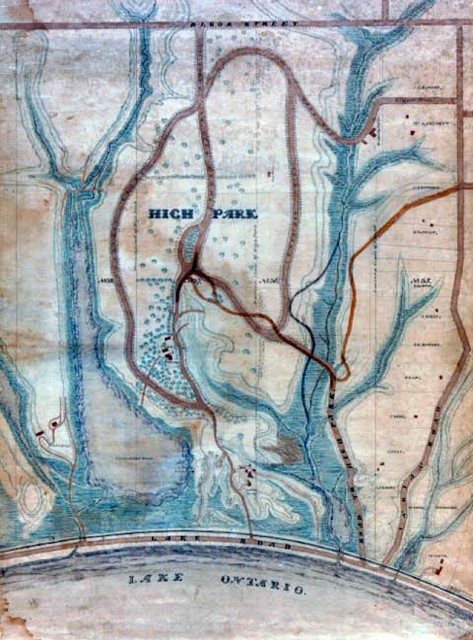 While the City’s property department managed acquisition, including the 1876 transfer from John Howard of High Park, there was little funding available for operation of parks, which was administered through the “Walks and Gardens Committee,” the precursor of the modern Parks and Environment Committee. In his 1907 testimony Chambers argued, without hyperbole, that he planted “many of the trees in Queen’s Park with his own two hands”. In the case of High Park, John Howard requested that he himself be appointed “Forest Ranger” by the City, no doubt to the delight of the administration, which had set a budget of only $700 for park operations in 1881. In 1884, the year Chambers was hired as superintendent of all parks and squares, Charles Pelham Mulany wrote his History of Toronto and the county of York, Ontario. In it, Mulany described Toronto’s parks and gardens as “the Lungs of the City”, declaring Queen’s Park to be “the people’s park of Toronto. It is the favourite resort of our city.” The recent expansion of property and the hiring of Chambers marked an uptick in popular opinion of the City parks. Chambers’ mandate was simple: to make improvements to the few existing public parks and establish a parks system. He was to build the foundation of what would become “the city within a park.” Under Chambers’ leadership, the City acquired lands outside its limits, both for weekend and holiday journeys, so that as the municipality grew through annexation, land would be guaranteed for this civic purpose. Among the parks added through this process were St. Alban’s Park, Christie Pits, Trinity Bellwoods, and Gzowski Park. Chambers was, by all accounts, an exceptional gardener. So exceptional, in fact, that while superintendent, he entered his City-owned coleus and begonia plants into exhibition at the Floral Hall and won on multiple occasions. That he kept the prize money caught up with him, in 1891, when City Council asked that he return the money from the City’s award-winning flowers. Emblematic of the poor record-keeping that would be his undoing, Chambers responded that he could not make a complete return, as he hadn’t kept any paperwork. He reluctantly agreed to withdraw from future competitions. 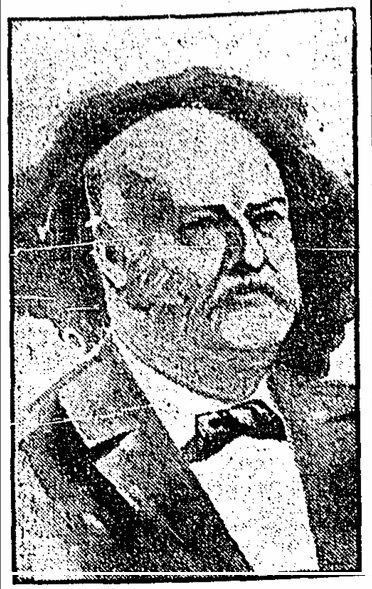 By this time, Chambers had appointed two of his sons to positions of power within the department—Arthur Chambers had become the superintendent of Exhibition Park, while Charles Chambers had begun his career as a clerk with the department and would follow in his father’s footsteps, later becoming Parks commissioner. Friends also stood to benefit from John Chambers’ high office, with contracts and employment. The Parks and Gardens Committee and City Council began to notice. Council first attempted to resolve the matter internally, but when this was unsuccessful, they sought an external investigation, presided over by County Judge John Winchester. The investigation revealed fraudulent contracts, and favouritism by Chambers, as well as a number of bizarre incidents that occurred under his watch. An evaluation of the record books showed that the department would regularly pay for a larger order of materials than it actually received; however, this had previously gone unnoticed as invoices to suppliers were issued in small enough sums as to avoid suspicion. Witnesses testified that many staff were paid for work that was incomplete, or continued to receive salary from Parks while on leave to work at the Toronto Industrial Exhibition. Many of Chambers’ superintendents maintained private gardens and animals using the City’s budget, while others sold produce grown on City land for private profit. The investigation also dealt with charges that the caretaker of the Island Park was inebriated on more than a dozen occasions. As the trial proceeded, it became clear that, while it would be difficult to prove any illegal action, the Parks commissioner had made unethical and immoral decisions in the later years of his tenure. 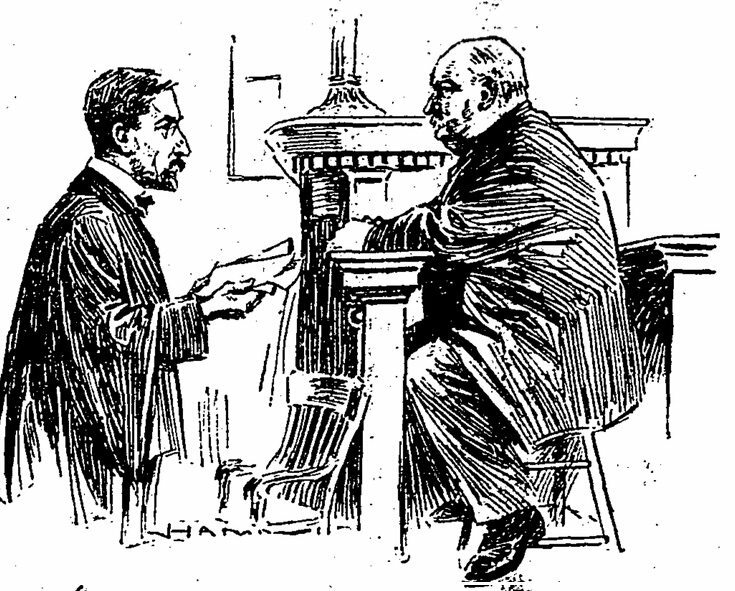 Throughout the trial, the media and public scrutinized the grandfather of Toronto’s public parks, which took a toll on what Chambers’ physician described as “already poor health.” Chambers submitted his notice of resignation in January 1908, requesting that the trial be deferred until spring, when the resignation would take effect. The final report was not particularly damning of the man who built the city’s earliest public parks and who “planted with [his] own two hands nearly all those beautiful trees.” Instead, the judge made sweeping recommendations for the department’s restructuring, including that all parks superintendents be discharged so that the new interim commissioner could work with whom he chose. Calls for ex-commissioner Chambers’ son, the Clerk of the Parks Department, Charles Chambers, to replace him came from the Toronto Horticultural Society shortly after the report was issued. However, James Wilson, of whom little is written, was appointed for a term that would last only two years, before the Chambers dynasty continued. Charles held the position of Commissioner for the following 36 years—until 1947. The grandfather of Toronto’s public parks would largely be forgotten, but his legacy—and that of his son—was sown in every public green space in the city.